Follow us on Facebook and Twitter for the latest offers. Only our bags are manufactured with a specially designed separate inner bag to aid support where required. This unique feature means the Beanbags have structured support and offers stability. 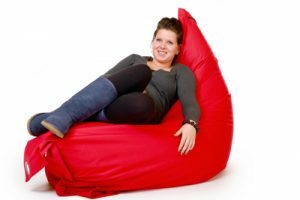 In our opinion this makes our beanbag the most versatile, comfortable and value for money seating available. Remember, only our bags are manufactured from a BREATHABLE, MACHINE WASHABLE, WATER PROOF and UV PROTECTED CANVAS-LIKE FABRIC. Simply Bigger and Better than the rest! We are proud to have supplied thousands of happy customers in the United Kingdom, along with many hospitals, care units, and special needs centres. If you have a special requirement, please call the boss on 085 251 3444 or email us here.